Capable of freezing 600 kits per day in 90LB blocks. 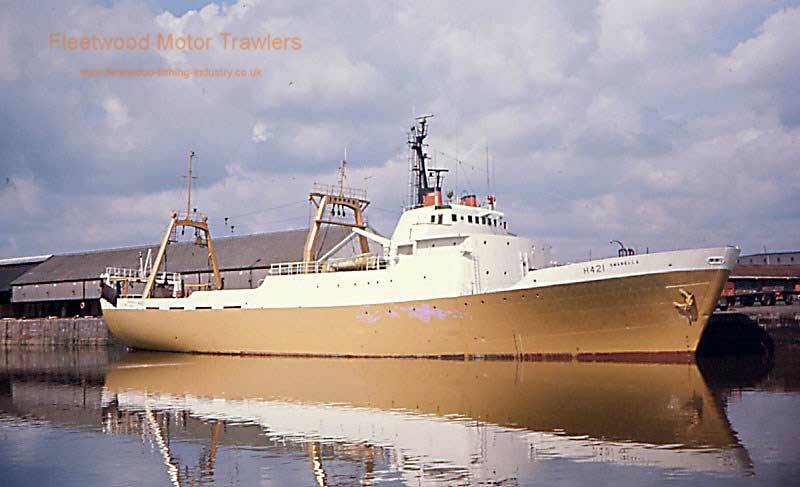 017.10.1966: Launched at Goole Shipbuilding & Repairing Co Ltd, Goole (Yd.No.554) by Mrs E.Stirk (mother in law of Geoffrey Alan Marr) for J. Marr & Son Ltd, Fleetwood as SWANELLA. 1967: Completed. Registered at Hull (H421). 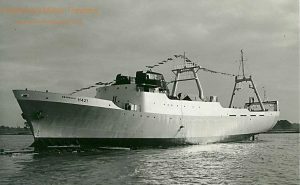 03.02.1967: Sailed from Hull on her maiden voyage (Skipper Charles Drever) bound for the Newfoundland fishing grounds. Halfway through her maiden voyage she suffered a fractured crank shaft which reduced the engine power by 50% This proved inadequate and she was brought home early arriving back at Hull on the 27th March landing 447 tonnes. 1967: Set up a new record catch of 665.5 tonnes (Skipper Charles Drever). 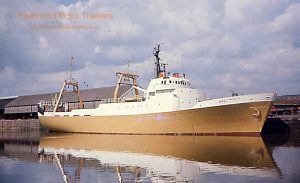 1969: The company’s top trawler landing 4,105 tonnes of fish for 307 days at sea, only 64 tonnes behind the top freezer LADY PARKES H397 which recieved a place in the Guinness book of records. 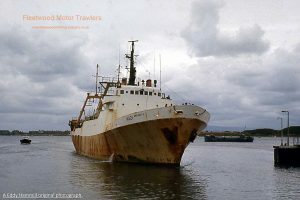 12.6.1981: Sold to KaareMisje & Co, Bergen and converted to a diving support ship. 1982: Hull registry closed. 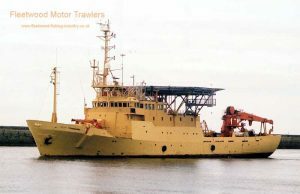 Registered at Panama as ARCHEMEDES. 1990: Sold to DSND Shipping, Norway. 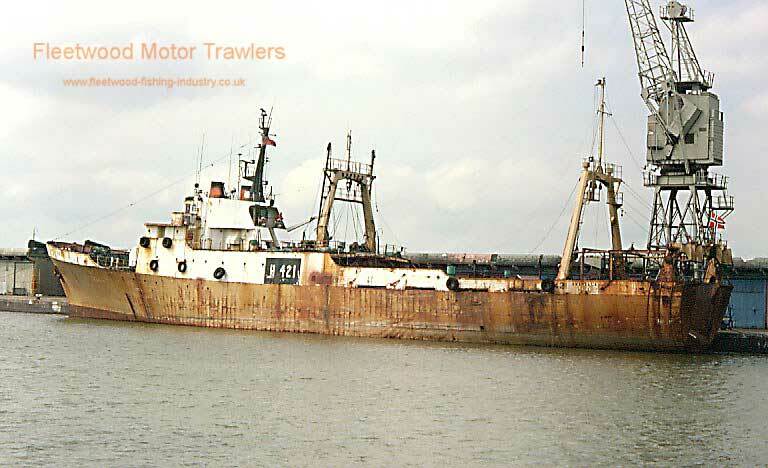 Renamed SEAWAY COMMANDER. 2004: ALLIED COMMANDER, Panama flag. 2009: Sold to How Choi Marine Ltd, Hong Kong. 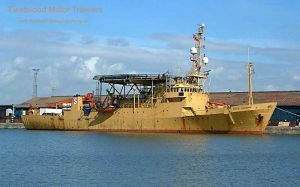 Renamed EGS EXPLORER St Vincent & Grenadines Flag. 2013: Renamed GEO EXPLORER, Nevis & St. Kitts flag. 30/01/2017: Added information and images. 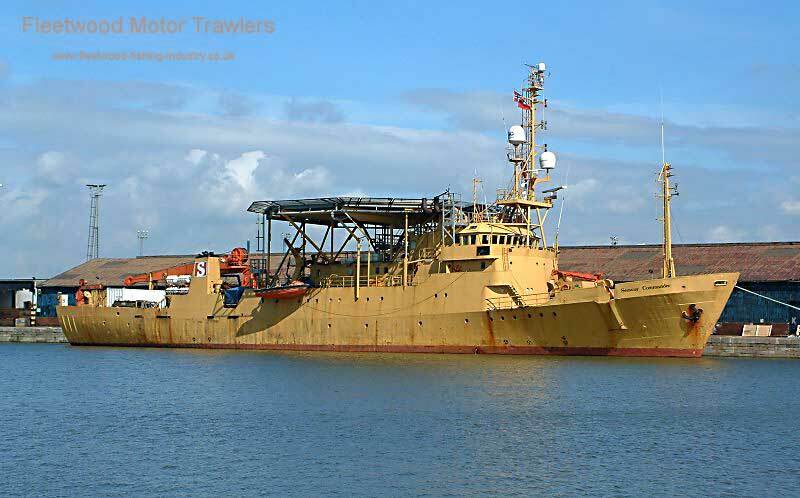 This entry was posted in Marr, Motor Trawler on 29th January 2018 by William Brixham.